I am asked really often to help people with their 23andme or other genetic test results and I always refer them to Anne! Happily, I have persuaded Anne to be part of our virtual clinical team so I can refer you to her more easily. Anne was an NHS cardiac nurse and is now a functional medicine practitioner based in Leeds specialising in genomics and genetic health. She's quite simply my go-to expert in nutrigenomics - what genes we have, how they affect us day to day, how they've been triggered by environment and diet usually, and how to 'un-trigger' or manage them. We get asked almost every day what someone's 23andme and other genetic test results mean and we now have someone you can talk to in depth about them. What kind of things other than genetic results would I talk to Anne about? Anne has had chronic fatigue herself, recovered with nutritional medicine, and has an autistic son who now has a Masters in Engineering, no less, so clearly she knows a lot about those subjects. She also lists digestive disease and mental health as specialist subjects. She uses processes like EFT and psychology techniques in her practice so offers a nice blend of mind and body, fitting in nicely with our own evolving Purehealth approach to chronic illness. Anne is also a Metabolic Balance practitioner and uses this hormone and metabolic-balancing programme to help people tackle weight issues. She's also just introduced NES Health into her repertoire, an energy-scanning biofeedback type system I have been coveting for years. 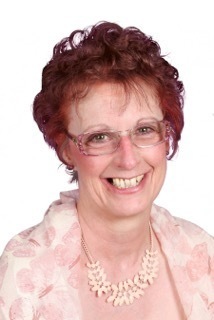 She also co-authors books, is the course director for York's MSC in Nutritional Therapy and does loads more. How do I book to see her? Anne's a very busy bee, clearly! She has a waiting list, unsurprisingly, but book a free 10-15 minute chat with her first of all and she will take it from there. A full genomics test interpretation and reporting/consultation costs £350 as it takes a HUGE amount of work; she doesn't run it through cheap software so you get individualised interpretation, not simple-computerised which is really important in this field otherwise you can be working on individual SNPs quite unnecessarily and wrongly. A nutritional therapy consult of 90 minutes is £100 with a short plan, or £150 with a comprehensive report. Follow-ups are £50.